For over 25 years, helping clients reach for their financial goals. Michael Graham is a Financial Advisor with LaSalle St. Investment Advisors, LLC, a registered investment advisor and a Registered Representative with LaSalle St. Securities, LLC, a full-service brokerage firm. Both entities serve representatives and their clients nationwide. Michael has been a financial services professional in the Washington, D.C. area since 1990 and a Registered Securities Principal since 1992. 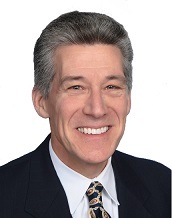 Michael received a Master of Public Administration (MPA) degree from The George Washington University in Washington, DC and has been a resident of Arlington, Virginia since 1985. He is a former Vice-Chairman of the Arlington County Planning Commission and former member of the Board of Directors of AHC, Inc. (Arlington Housing Corp.). Michael and his family enjoy travelling worldwide and experiencing new cultures.